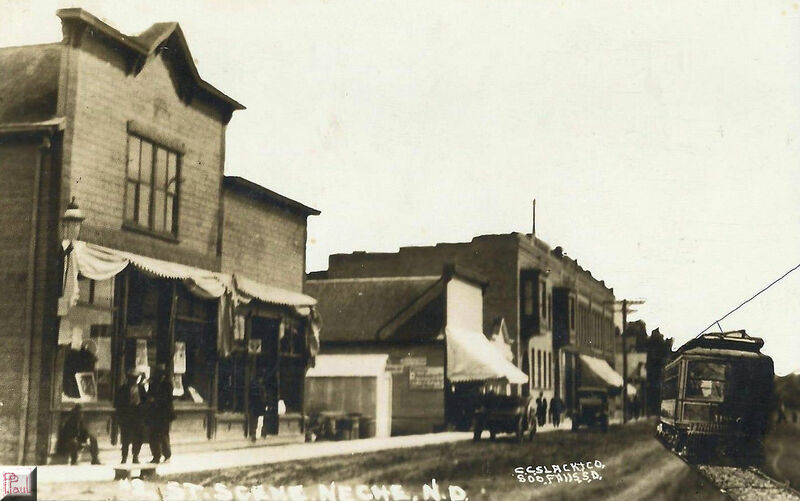 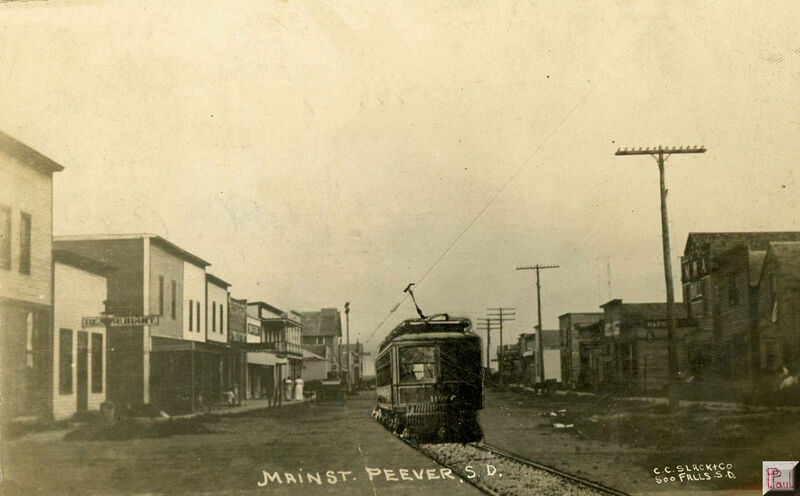 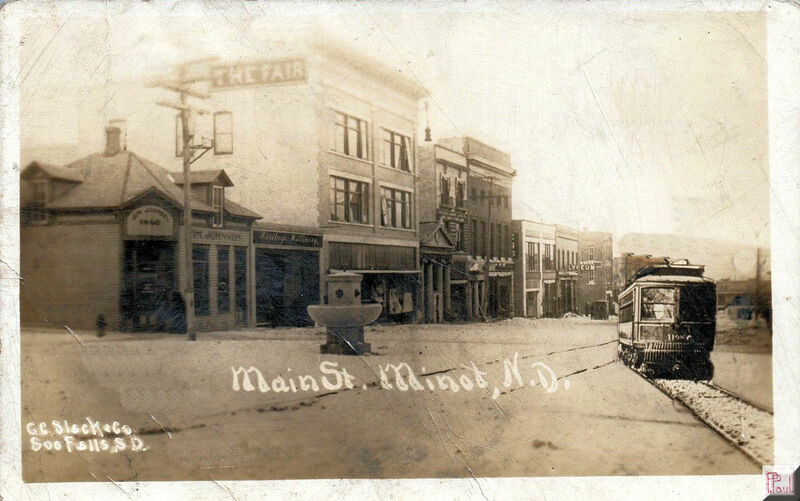 Around the year 1912, give or take a year, I’ve noticed that several smaller towns in North Dakota and South Dakota had postcards of Main Street , with a scene of a trolley that didn’t actually exist in the town. 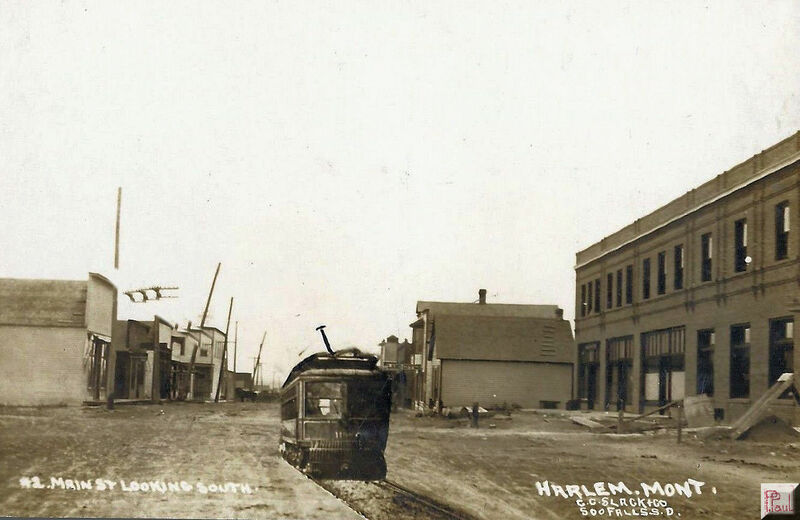 Back in 1912, a Town or City having a Trolley was a big deal. 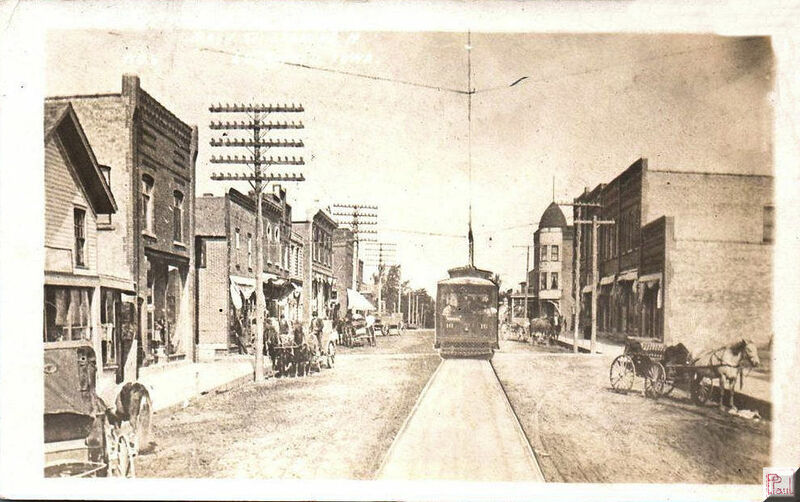 Cars weren’t everyday sights and a street car or trolley showed a level of development for the town back then. 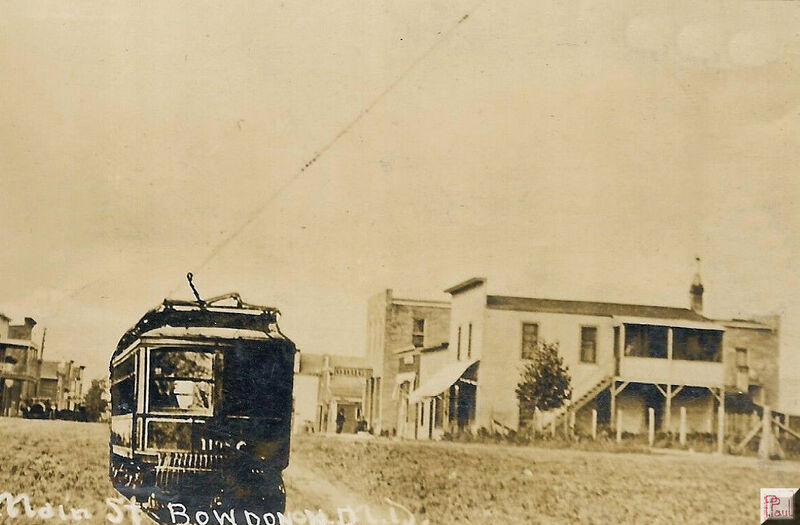 The “Trolley days” were short lived as the automobile would soon take over. 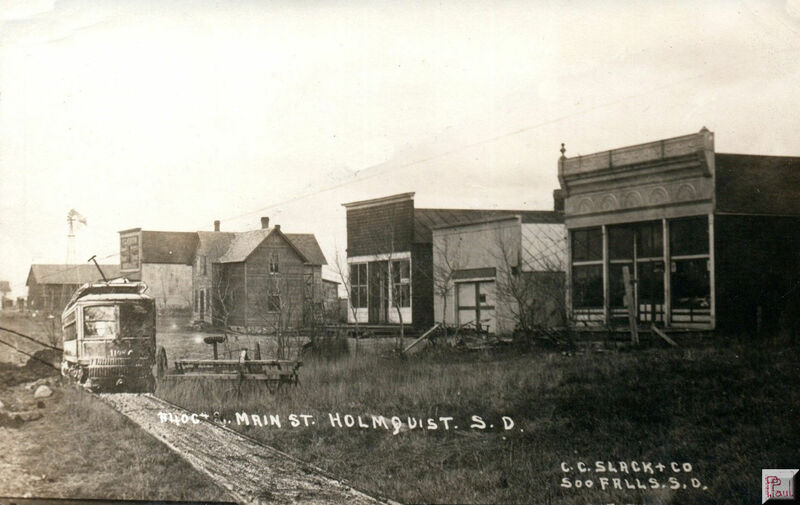 Sure looks familiar, car “”1198” now coming through the Town of Bowdon, North Dakota. 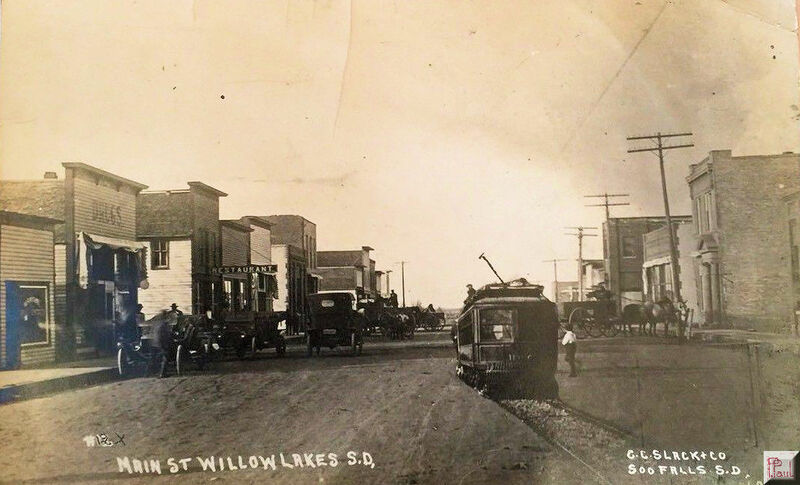 And in Minot, North Dakota…..
And Neche , North Dakota…..
….and Willow Lakes. 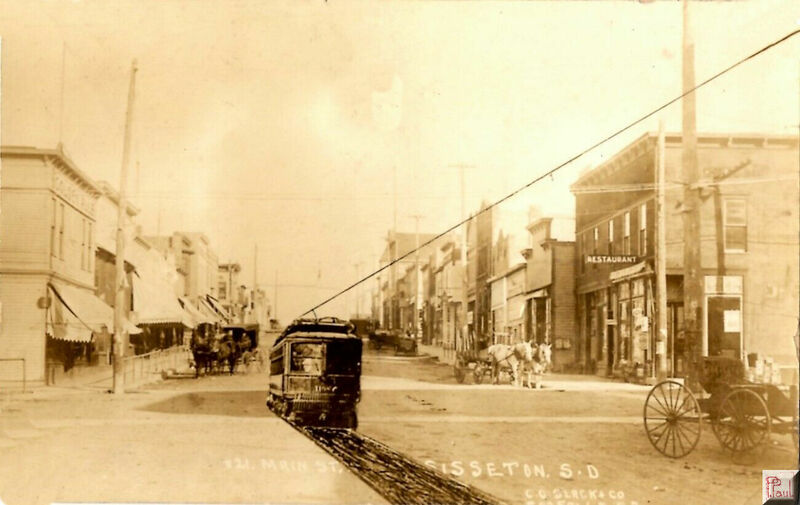 There were actually two varieties of the cards and it’s possible some of these towns had trolleys later, but these have all been edited, with the technology of the day.